Lagoi Bay Haven, with a rare combination of three pristine waterfronts offering advantages of Breezes, Security and Views. Tranquil lakes, meandering rivers and the azure sea encircled with unspoiled forests. Rediscover the joys of outdoor living at your doorstep. Close to the metropolis of Singapore, yet pristine. Complete with infrastructure and amenities. A prime recreational destination of choice for the region. - 4 International Airports within 1 hour distance. - New Bintan Resorts International Airport presently under construction scheduled to be completed by 2022. Connected to 21 countries and 43 major cities in the world. 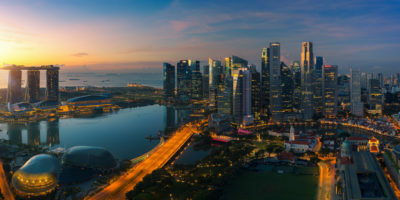 Bintan and Singapore are interconnected via a 60-minute (41 km) ferry ride with 6 trips scheduled daily and 9 on peak days. More new routes have been planned to connect Batam and Bintan directly. The proposed Batam-Bintan Bridge, approximately 6 km long, will facilitate commuting between Telaga Punggur in Batam and Tanjung Uban in Bintan to approximately 10 minutes. The turquoise waters and white powdery sands that line the resort’s northern perimeter is a natural beauty, where one can fill the day with active fun or relaxation. Lagoi Bay Haven’s site is south of, and directly facing, the South China Sea. The river front at Lagoi Bay Haven provides a rejuvenating retreat for the mind, body and soul. Here, families can marvel at the natural wonders of the pristine mangrove environment from the boardwalk, enjoy a picnic along the river bank or paddle-boating along the river. The lake is another sanctuary for the residents. Pack a yoga mat and find a quiet spot along the lake’s 6.6 km perimeter for a morning meditation, fly a kite, go cycling, or simply hit the lake’s jogging track for an extra burst of adrenaline.